Michael Graff is currently a partner at Warburg Pincus where he is involved with the firm’s Industrial and Business Services sector. Prior to that, he was President and Chief Operating Officer of Bombardier Aerospace. He was also a partner at McKinsey & Company in New York, London and Pittsburgh. He received an A.B. from Harvard University in economics and an M.S. from the Sloan School of Management at the Massachusetts Institute of Technology. 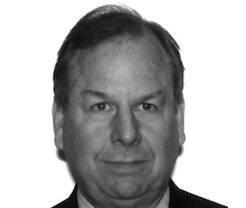 Mr. Graff is Chairman of the Board of Consolidated Precision Products and Wencor, and is a director of Allied Universal Security and TransDigm. Mr. Graff is also Chairman of the United States Olympic Water Polo Committee, and a director of the National Psoriasis Foundation.